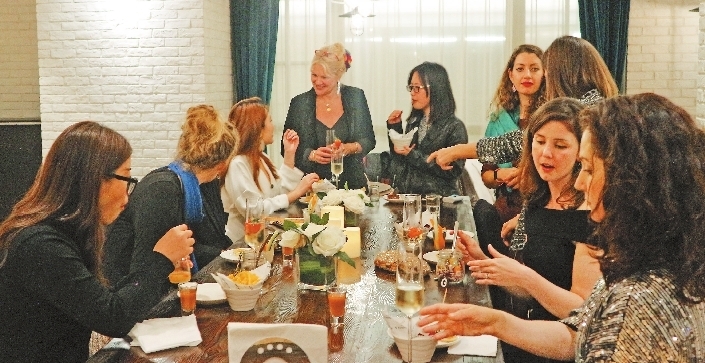 RESIDENCE G Shenzhen launched its monthly ladies night series earlier this month to encourage women to share about work-life balance, the challenges they face, tips to overcome them, and more from their unique perspectives. The upcoming ladies night event will be held April 11. 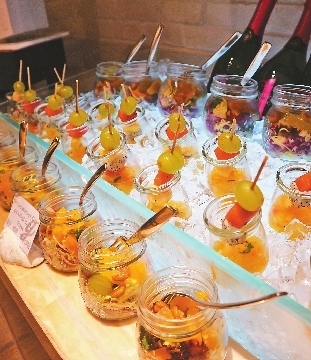 The first exclusive Great & Glamor Ladies Night, which was held March 8, was host by Blandine Cressard, general manager of Residence G.
Cressard has worked in hospitality in 10 countries across four different continents. After guests became acquainted with a gentle nudge from the free flow of French sparkling wine, Cressard gave a talk about her own experience as a leading working woman. The talk was not only entertaining but had the women in the room feeling inspired and empowered by Cressard’s experience and positive message. More than just a speech, the gathering also consisted in networking where guests exchanged their own stories about being a woman in the world of work. In between delicious cocktails and the cocktail dinner buffet with free flow French sparkling wine, interactions were exciting and meaningful. The fabulous evening ended with a lucky draw, leaving all ladies with a feeling of empowerment, confidence and newly formed friendships.